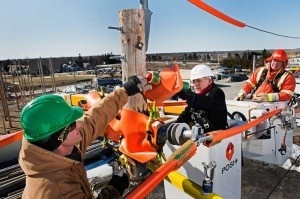 Minister of Energy Bob Chiarelli states that Ontario is returning local control to power projects. Most of us talk ourselves out of bringing our dreams to life. As Don Juan said in the earlier post, Change Your Past, we constantly tell ourselves stories, an unchanging description of the world we are already experiencing. Changing our lives requires us to change the stories we each tell ourselves. Freeing ourselves, our communities and our planet from the controllers requires new stories. So we must stop the stories that we are helpless children of Big Gov who must ask their permission to change. Here’s the first new story: Self Responsibility. The tyrannical, personal energy depleting, Earth depleting, health and happiness destroying controlled mess we are in is our fault, especially we who were lucky enough to have landed in the US of A. We were the shining light of Freedom, but we ignored our local environment while feeling helpless about Big Gov. It’s our fault, and with our Free Will, it is our responsibility to turn it around. I have said it begins at the local level, growing up and out from there. We must follow the same route that got us here, but with a new attitude of self-responsibility and power. Now, the New Earth Renaissance has begun. It isn’t being accomplished by Big Gov or Big anything, but by people who are turning their backs on those controlling entities, doing what is their highest excitement, in spite of those controllers. Though we are not going to make big war, this effort does sometimes involve confronting them and standing our ground, to push them out of our communities. How do we do that? Our Creator has given us rights, by virtue of our birth as Its children. Our Declaration of Independence recognizes and declares that. Our Constitution sets our a framework of controlled government to ensure our rights. It gives us no rights. It only limits that of our created government. Why do you think that Big Gov controlled education teaches that those documents are outdated? Though we have dropped vigilance of protection of them and let them be ignored, those documents are still in place. We will, in some cases, have to push the controllers by use of them. The more we do that and the more sheeple who wake up and create true, lawful government, the faster the New Earth Renaissance expands. Here is an inspiring example of a community’s desire to protect its own environment. Victory! Please listen to these two videos. This is how it’s done. Push them out of your community. We will talk later about replacing them with what is good for life in our neighborhoods. Rosalie. This is an extraordinary website!! You have put so much into it. I thank you with all my heart for the information you provide here. CELDF also helped write a new constitution for the country of Ecuador including the Rights of Nature!! Thank you, Wendyl. That’s great about Ecuador. I’ll check out what else CELDF has been up to.